Today’s eyeglasses are remarkably advanced, and you’ve now got a wide range of options in both frames and lenses. 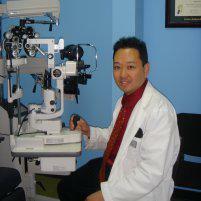 At Eye Appeal Optometry, Henry Oishi, OD, delivers the best in eye care, from your eye exam to your new eyeglasses. Book your appointment online now at the Temecula, California, practice or call the office today to schedule a visit. Is wearing eyeglasses good for my eyes? Wearing eyeglasses that have the correct prescription lenses is very good for your eyes. When you have vision problems, whether it's nearsightedness, farsightedness, astigmatism, or something else, you probably strain your eyes more than you realize. This can cause eye fatigue and other problems, but if you're wearing the correct prescription, you can avoid these types of issues. What kind of eyeglass lenses should I get? Impact-resistance - Polcarbonate and Trivex lenses are safety lenses. Both have impact resistant properties, but as can be seen from the video, Trivex is more durable and chemically resistant than polycarbonate lenses. There's a perfect lens type for everyone, and the Eye Appeal Optometry team is happy to help you choose the right option for your lifestyle. What types of eyeglass frames do you offer? Eye Appeal Optometry offers a wide range of eyeglasses and sunglasses, including options from all of the following brands. 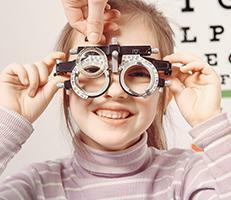 There are also other brands not listed above, so be sure to plan some extra time to browse the wide selection at Eye Appeal Optometry. Can I get my new prescription lenses placed in my current frames? In most cases, you can. However, Dr. Oishi generally advises getting new frames when you get your new lenses for a couple of reasons. Your new frames come with a 1-year warranty against manufacturing defects and can thus be easily reordered if they break. Old eyeglass frames may be discontinued and couldn't be quickly replaced. Plus, if your eyeglasses already have a lot of wear-and-tear, placing new lenses in them may be the final straw that causes breakage. Ready to see clearly with your gorgeous new eyeglasses? Use online booking or call the Eye Appeal Optometry office now to get started.